What is Feminism in India? 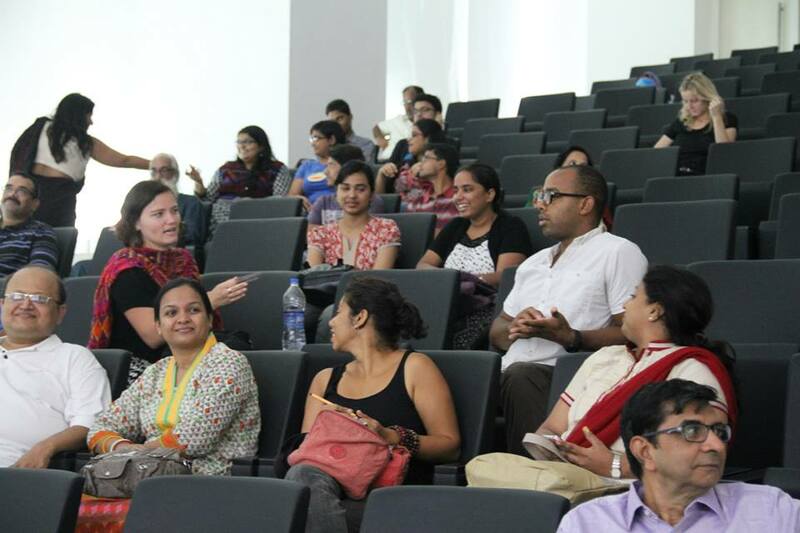 I have always thought of myself to be a feminist, but the feminism I know is largely American-centric, and I have not been sure whether or not my feminism would pass the litmus test for feminism in India, so I went to Wandering Women: The Feminist Docu Film Festival of India to find out. If there is one thing I learned from the film festival it is this: feminism is not categorized according to country (American feminism versus Indian feminism), and there is no single definition of feminism. This is not to be confused with feminism not having roots in a single definition. I imagine feminism as a large banyan tree. A banyan is a fig tree that starts its life by growing on another tree. The seeds germinate in the cracks and crevasses of a host tree and grow until the root establishes contact in the ground and eventually becomes a freestanding tree. I can see feminism as a banyan tree that grew from the cracks and crevasses of equality, and as time progressed feminism has become it’s own tree that has its roots firmly established in the ground. As a freestanding tree, feminism has grown multiple branches; however, each branch can trace itself back to the basic premise that women are equal to men. Many of the films exposed the ways in which women are oppressed under patriarchal societies, which is to say living life as to what is suitable according to the male-lens.One of the films, Gulabi Gang, exposes such conditions of living: rigid caste divisions, female illiteracy, and domestic violence. The film follows Gulabi Gang’s leader, Sampat Pal Devi, as she works to protest a corrupt official and bring a man to justice that she suspects of killing his wife. During the film, Sampat Pal and the Gulabi Gang, encounter resistance to bringing justice to perpetrators of violence that is borderline incomprehensible and completely repulsive. An entire village conspired to cover up the circumstances of a woman’s murder, and even went so far as to make changes to a murder scene that they knew would be captured by the camera making the film. In another part of the documentary a member of the Gulabi Gang verbalized justification for honor killings, and she did not seem to have realized the irony of Gulabi Gang being a women’s movement that focuses on justice. This member in particular was an anomaly, but the audience and I couldn’t help but gasp in show from this woman justifying honor killings. I have heard of honor killings before, but I had never watched someone argue its merits. Even with the dark realities of the film, there was hope. I saw the Gulabi Gang being supported and praised by men, I saw them teaching and encouraging people to vote, and I saw them advocating for education in towns where illiteracy is widespread: It was one of the most powerful and striking films I’ve ever seen, and Gulabi Gang’s lader, Sampet Pal, is not only symbolic of what a strong woman looks like, but is a model of what a strong man looks like too. 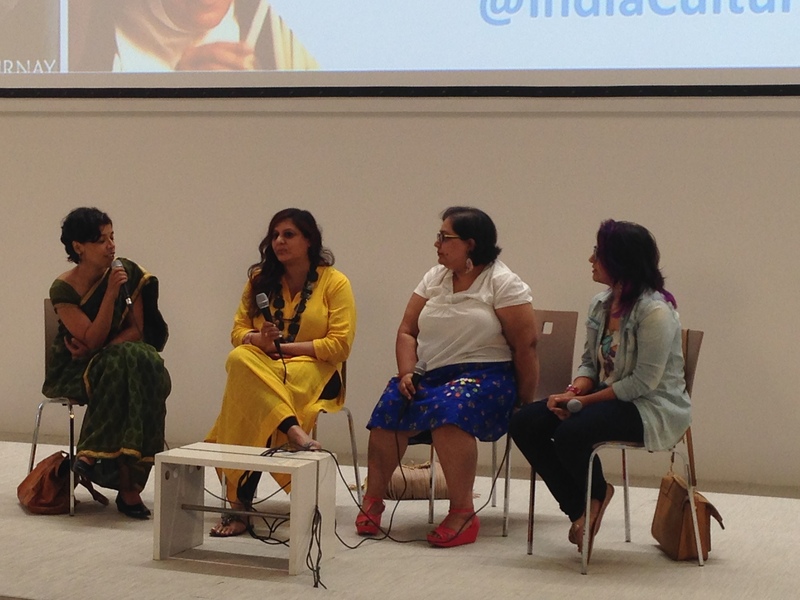 Panel Discussion on how feminism changed Indian documentaries. Panelist: Nisha Susan, Bishakha Datta and Deepanjana Pal. During a panel discussion on how feminism changed Indian documentaries, one of the panelists discussed what makes a film “feminist”. I was struck by the way she articulated her views on the relationship between filmmaker and subject: If feminism is concerned with breaking the norm of patriarchy, then a feminist documentary must break the ways in which the male patriarchy depicts women and their narratives, which means the subject on film must be given agency by the filmmaker. As I reflected on those sentiments, I realized that every woman had agency in every film that I watched. 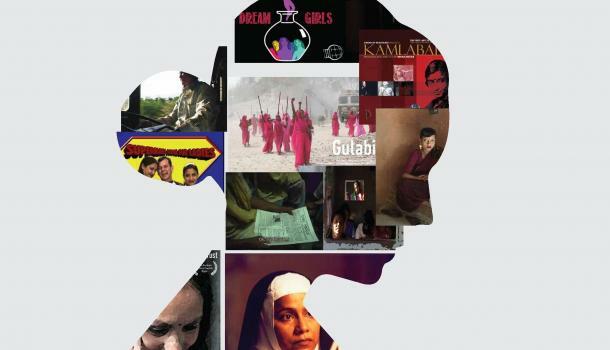 The film, Taza Khabar, captured the story of a group of local female journalist who started an eight-page local language newspaper, Khabar Lahariya, which is now published by a collective of 40 rural women journalist and is sold across 800 villages of Uttar Pradesh and Bihar, reaching a readership of 80,000. The film Kamlabai was a film about one of India’s earliest woman actors, Kamlabai Gokhale, and even the “Youtube Party”, a compilation of videos made by feminist filmmakers, captured the different elements of feminism by giving the women in the film and their narratives agency. The qualities that make a film “feminists” aren’t too different from the qualities that make a person a feminist: Do you believe women should have agency in society? Do you believe in having a range of women depicted in film (beyond the “man bad. Woman good trope), providing women with ways in which they can opine or have an equal voice with men? If you said yes to those questions, you are probably a feminist and if you are watching a film that answers yes to those questions, you are probably watching a feminist film (Yes, you’re are, even if you haven’t admitted it to yourself). It may be bad form to end on a negative note, but I think feminism might be better to understand if you describe what it isn’t and not what it is. Feminism is not men making $1.00 while a woman makes 75 cents for the same work. Feminism is not having a system in which women are punished finically or socially for taking maternity leave. Feminism is not a system in which men have more access to restrooms than men, and Feminism is not a system that takes away a woman’s right to choose whom she wants to marry and when she wants to marry. Feminism is not a society in which male patriarchy is the norm.